This year, Franchise Gator published its third annual Top 100 list which provides prospective franchisees with a reliable source for evaluating the multitude of opportunities available. When it comes to investment decisions, focusing on risk is key – specifically, determining factors that will minimize risk. Buying into a franchise system is no different. With that in mind, we took a closer look at the commonalities between the Top 10 franchise systems in this year’s list to determine what makes them among the most successful. Though there were additional components involved in our overall scoring process, following are the top three distinctions we discovered among those franchises that ranked the highest. "What's the hottest thing in franchising?" That's the question I am asked most often by friends and family. Translated, it means, “Can I get in on the ground floor with that industry?” Many would-be franchise buyers have the same focus, but for those who are more risk-averse, seeking a franchise system with a lengthy tenure is a safer bet. Among the Top 10 systems on our list, we found that the average amount of time those concepts have been franchising to be just over 20 years. The key is that this measures the time they have been offering franchises, not just running their core business. What most franchisors quickly learn, and what all future franchisees should know, is that running the core business and running the franchise side of said core business are two different beasts. Even a company that has run an impressive core business for 20 years but has only franchised for a short time still has many learning curves ahead. Of the franchises in the Top 10, three brands have been franchising for more than 10 years, four brands for over 20 years, and two brands longer than 30 years demonstrating that there is security in experience. Why should a prospective franchisee be interested in the growth rate of a franchise? Because growth is the gateway to building a successful infrastructure that fosters the success of all the units in its system. And isn't that what a franchisee is buying into in the first place - a system? Franchisors with slower growth may be experiencing issues preventing them from bringing in new franchisees so it’s important to pay attention to these numbers during the evaluation process. On the flip side, it’s also important to verify with franchisors experiencing a more rapid increase that they have the capacity to support that growth. Item 20 of the Franchise Disclosure Document (FDD) affords us the information needed to explore a franchise’s growth. Typically, an FDD will cover a three-year history. On average, those in our Top 10 saw a strong growth rate of 40.5% between 2012 and 2014 with a mean of 36%. Five concepts saw growth in the 34% - 56% range, while another two saw growth in the 20 - 24% range. 101 Mobility led the way, more than quadrupling their number of units between 2012 and 2014 from 20 to 86. The opposite end of the growth spectrum is turnover. Details about how many units opened and closed on a per-state basis can also be found in Item 20 of the FDD, specifically columns 5 - 8 which highlight terminations, non-renewals, reacquired units and others that ceased operation. Gauging a system’s turnover rate by reviewing the number of units that left as a percentage of total units is an important factor for prospective franchisees to consider when calculating risk. According to Franchising USA Magazine, the average turnover rate among franchise systems between 2010 and 2014 was right around 10%. Our Top 10 franchises had an average turnover rate of 7.3%. Three concepts saw a percentage under 5%, while another four were in the 6% - 10% range. Notably, FASTSIGNS, our #1 ranked franchise system, had 451 units open at the beginning of 2012. Over the next three years, only 20 units ceased operation, and only four in 2015. That is the kind of turnover rate that those seeking to invest in a franchise should be looking for. What does a healthy franchise system look like? That may best be answered by breaking down what an unhealthy one looks like. A system where the franchise sales team does not work in concert with the operations team and brings in franchisees that may not be a good fit leads to struggling units who ultimately leave the system. So how do we identify a struggling franchise? Aside from interviewing current franchise owners and looking at turnover rates, there are additional items in the FDD that can offer insight. One of these is the ratio of franchise fees to royalties. Franchise systems with a low ratio are typically more mature and not reliant on franchise sales (i.e., initial franchise fees) for financial growth and stability. Thus, a franchisor with strong royalty figures indicates a healthy operation because it receives the majority of its earnings from current, successful franchise owners. Sport Clips, who ranked #4 on our Top 100 list in 2016 and was our #1 ranked franchise the previous two years, is a great example. According to their FDD, continuing fees and product sales (recurring revenue) totaled more than $38 million, while one-time fees totaled around $9 million. For every dollar of revenue they earn, 77 cents is from recurring revenue. Put simply, that is a sign of a stable and healthy franchise system. Those seeking franchise ownership have more tools at their disposal today than ever before. Performing due diligence is key to making an educated decision and minimizing risk when investing in a franchise or any other type of business. 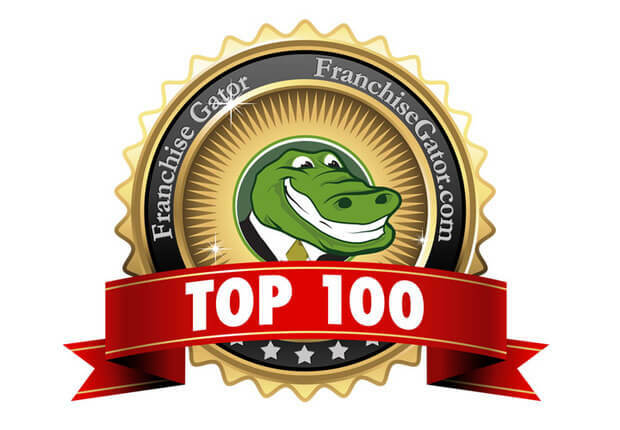 Franchise Gator is committed to helping prospective franchisees find the right business which is why we developed our annual Top 100 list to help would-be investors identify the top opportunities based on growth potential, financial stability, franchisee satisfaction, and profitability.